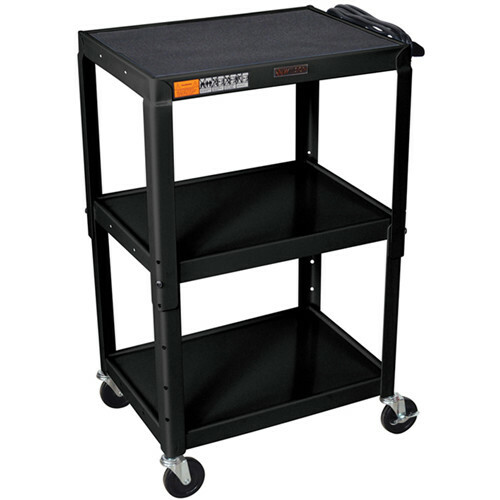 Box Dimensions (LxWxH) 25.0 x 22.3 x 19.5"
W42AE Metal Open Shelf Utility Cart (24 x 24-42 x 18") (Black) is rated 5.0 out of 5 by 2. Rated 5 out of 5 by BMW Service Department from Great Service! Exactly what we needed at a great price, shipped quickly and received in perfect condition. We use this product in our automotive Service Department for our programming computers. We need to buy some more and we'll order them from B & H again.